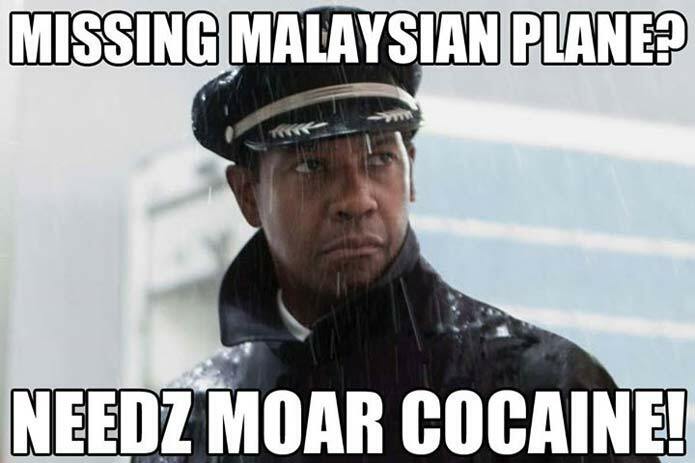 Missing Malaysian Plane – Needs More Cocaine! I know, this is wrong but you are laughing. Unless of course you haven’t seen the Movie Flight with Denziel Washington and the EPIC crash scene. Watch it below.